Captivated would not have come together with out the help of the talented young man at the helm of ReelCast Productions. 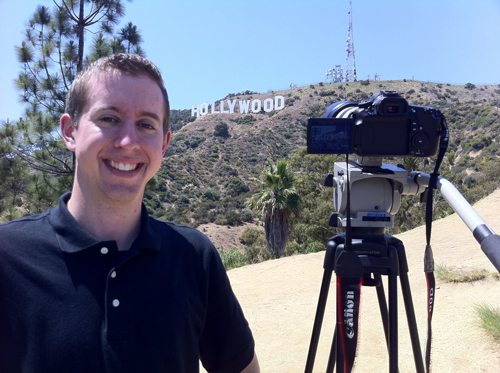 John-Clay Burnett served as Director of Photograghy, Editor, and assistant director. I [Phillip Telfer] can not say enough about how great it was working with John-Clay. He is not only talented but has a heart for God and really put his heart and soul into this production. He has continually gone above and beyond the call of duty to help make this an excellent and impactful documentary. Founded by John-Clay Burnett in 2005, ReelCast Productions is an independent multimedia company that strives to bring high production values to wholesome, Christian-based media. While not every project is evangelistic in nature, the goal is that every project will promote a Biblical worldview that lifts up faith-based values and godly character. ReelCast desires to produce, and to be significantly involved in helping produce dynamic, influential media.